Of all the problems that plague HDSLR shooters, aliasing and moire are perhaps the most annoying and difficult to overcome. It seems that one man has decided to create a solution to this problem. Dr. David Cubanski, Phd created the VAF-5D2 filter which fits between your lens and your sensor. The filter can be easily removed for standard photography and requires no modification of your hardware (which means no voiding of warranties). At an expected price of around $385, it isn’t for the low budget shooter, but if you are a serious filmmaker or commercial producer this filter may be a life saver. Read more about it on Philip Bloom’s blog. Looks like the production model now works with lenses up to 24mm, as seen below. Well I think this is just the first one of many other filters that we are going to see out there, somehow makes me wonder after all these years why nobody ever thought about this! 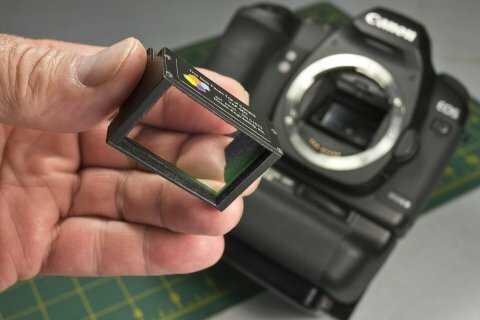 i am wondering if this filter would fit on the canon 5d mk3? it should, but does it make sense to use it with the new canon?